When you setup your web site you can decide whether to pay for the site monthly, quarterly or annually in advance. At the end of each billing cycle you will be issued another invoice for the next period - you are not obligated to continue with the website and when you no longer require the website you simply stop paying! How do you make it your web site? Add your business logo and any images you want with our easy one step image optimiser. Plus if you need to add files such as word documents or PDF's you can do that too! You can even swap design templates at any time with one click. 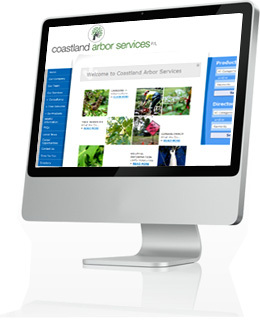 Chilli Websites Content Management System (CMS) is as simple as using Email. - plus if you need to manage products or have a directory you can do that too! You don't even need to register a Domain name! - all our sites are instantly automatically set up at "www.chilliwebsites.com/sites/yourdomain.com"
- when you pay for your site we will organise your preferred "top level domain name" which you choose during setup. - if you already own a domain name that can easily be directed to your new website. How do I get results on search engines? - all our sites are already built using search engine optimisation techniques. - plus you can add your individual businesses "keywords" and "key phrases" to each individual page of your site. - plus all new sites each month are submitted to Google, Yahoo and the Open Directory. - these email accounts are accessible via your admin system or by any email client software (i.e. Outlook). Can I get statistics on my site?